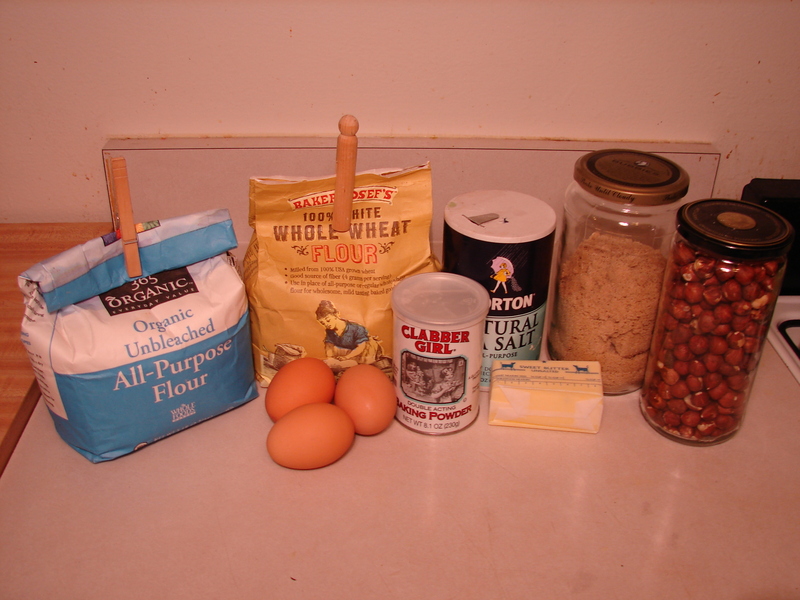 Sift together the flour, sugar, baking powder and salt. 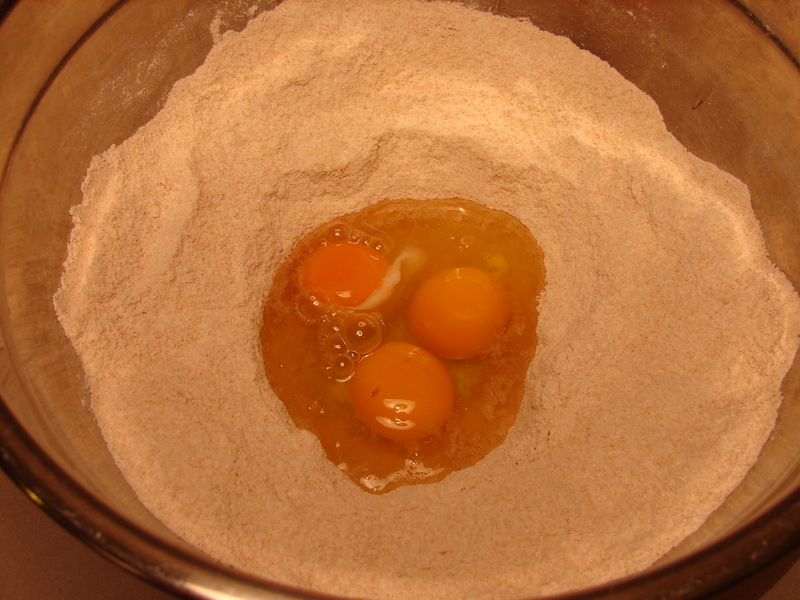 Make a well in the center and add the eggs. 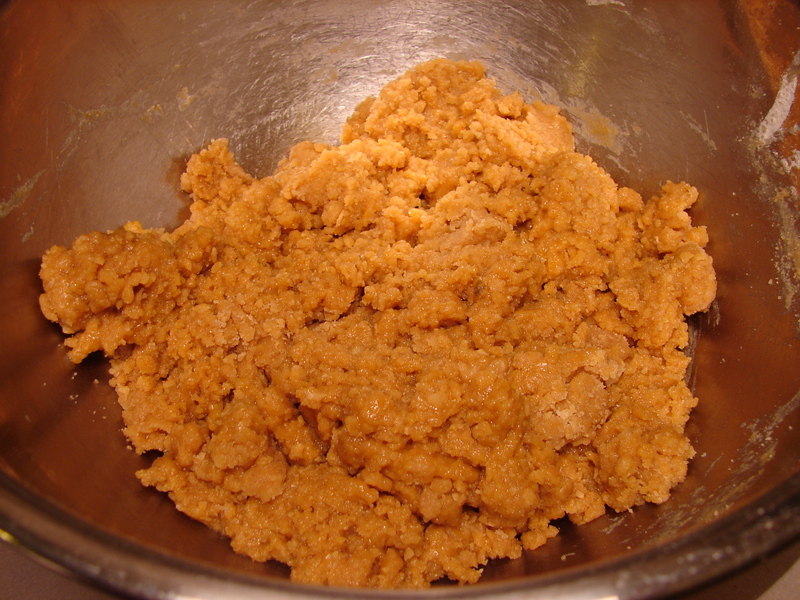 Mix the eggs into the flour mixture along with the melted butter. 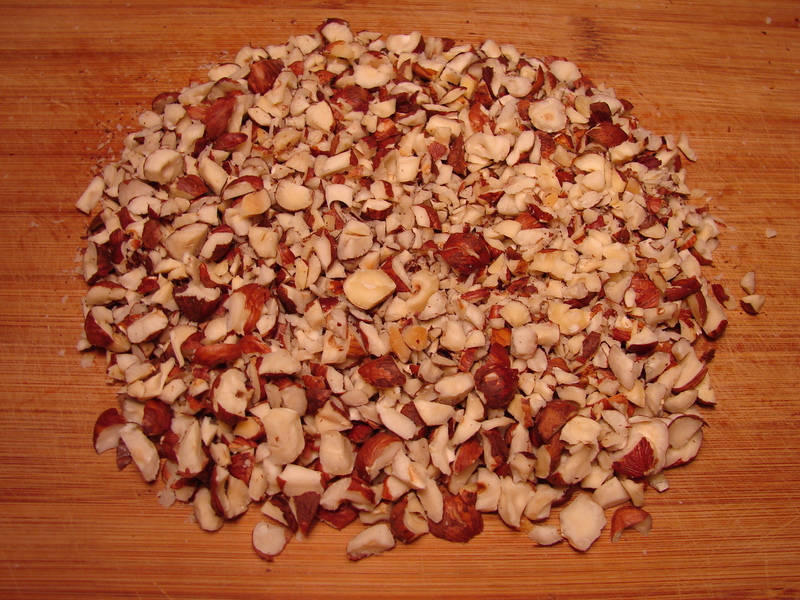 Chop the hazelnuts. 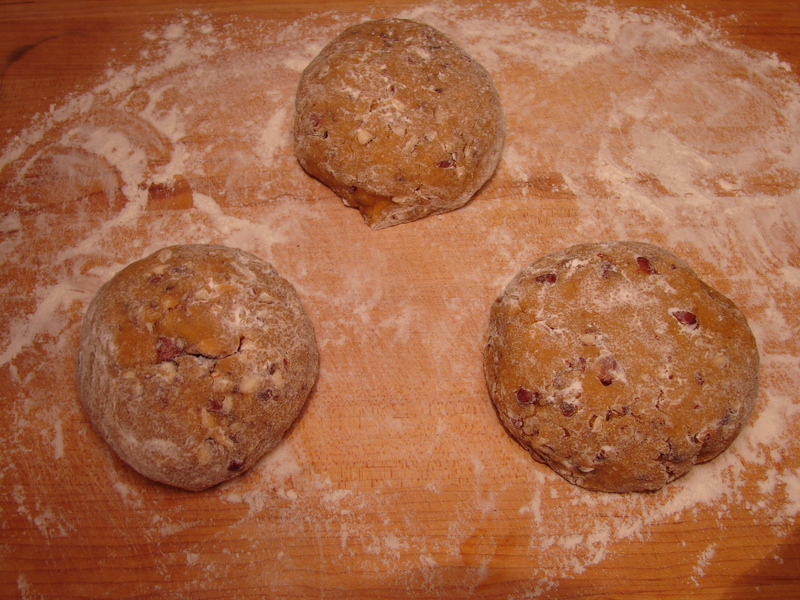 Add the hazelnuts to the dough, turn out onto a floured surface and separate into three pieces. 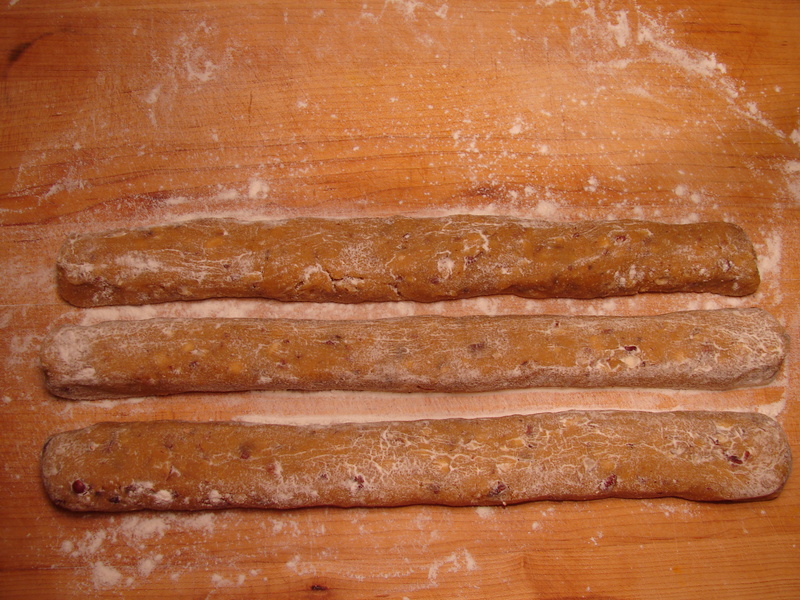 Roll each piece into a 12 – 14 inch log. 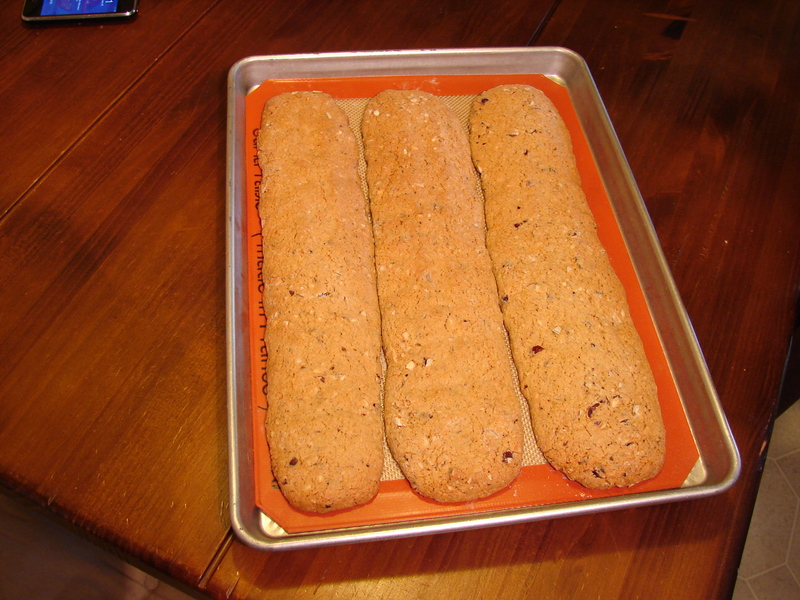 Put the logs on a baking sheet and flatten with your palm. 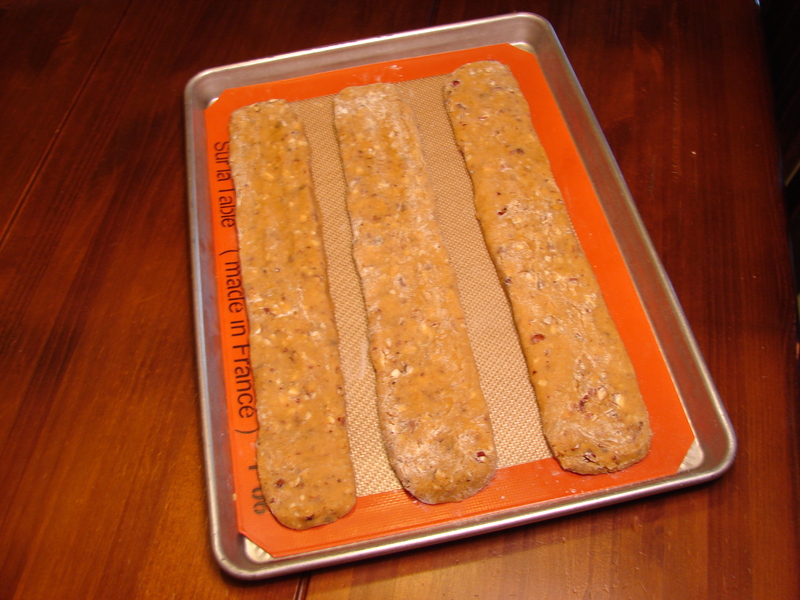 Let the logs cool for 15 minutes on the tray. 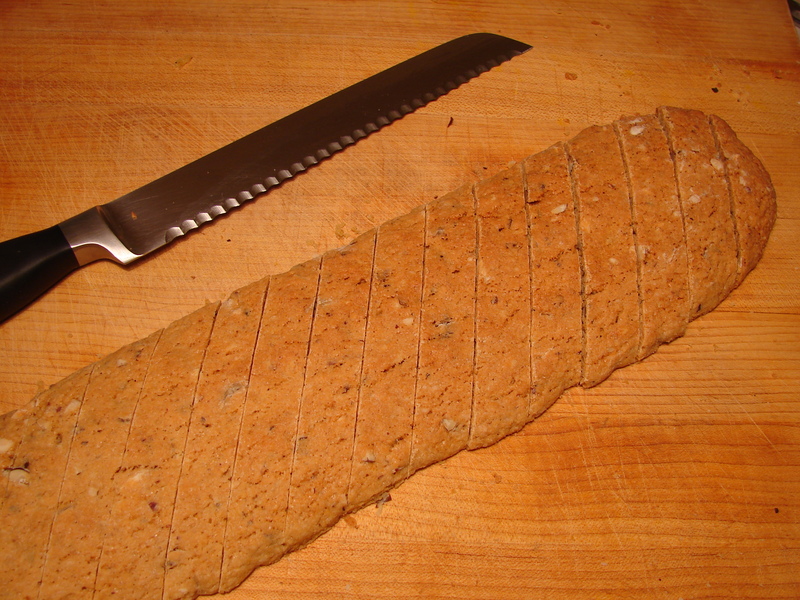 Put them on a cutting board, and using a serrated knife, cut into slices. 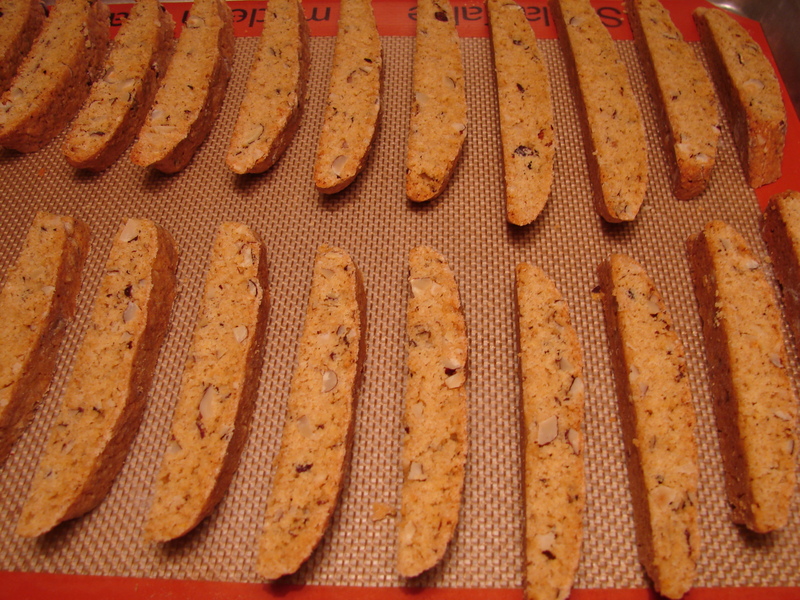 Put the slices on baking sheets and bake for ten minutes. 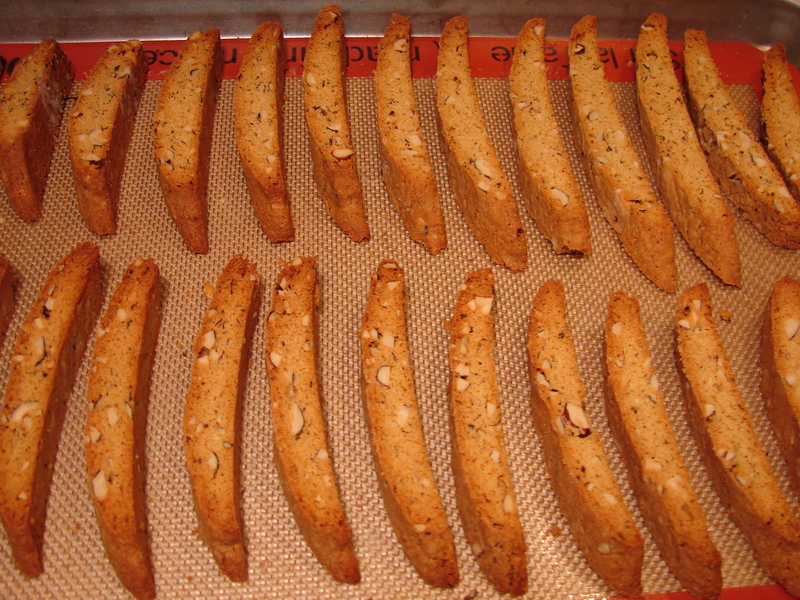 Flip the slices and bake for ten more minutes, or until golden, crispy and dry. This looks incredibly delicious and simple. I’m always looking for plastic-free ways to cook– thank you!